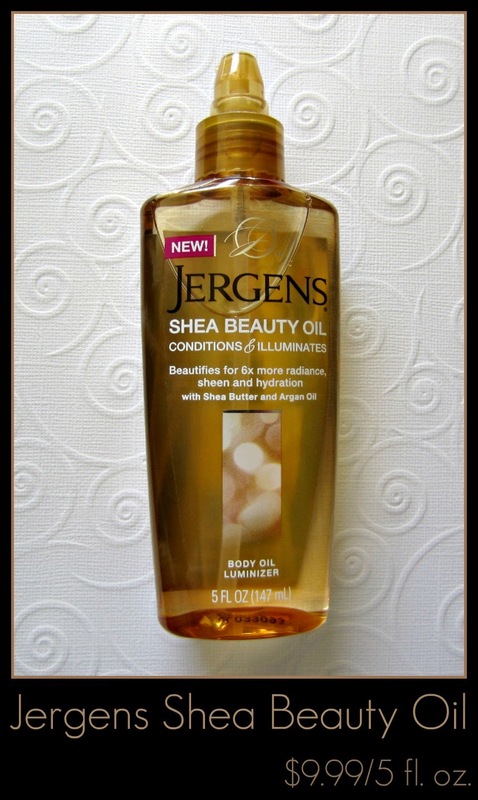 Jergens Shea Beauty Oil is lightweight serum with a blend of Shea Butter and Argan Oil that adds a nice dose of moisture to my skin. I apply this right out of the shower when my skin is still damp, and it absorbs well. It took me a few tries to determine just how much I needed--it seemed I used either too much or not enough. Now that I've gotten that perfected, it works rather nicely! The dispenser is a pump-style, and the product itself is of medium consistency. It's an oil serum, so you want to be sure to rub it in until it's fully absorbed. It has a light scent that is very enjoyable, and gives my skin plenty of moisture so I don't feel the need to use any additional lotion. While it claims to give your skin 6x more radiance, I don't really see that happening. How does one measure skin radiance anyway? It does give my skin a hint of sheen though, and it definitely looks more supple and smooth. During the summer months when my skin is tan, the sheen is much more evident. 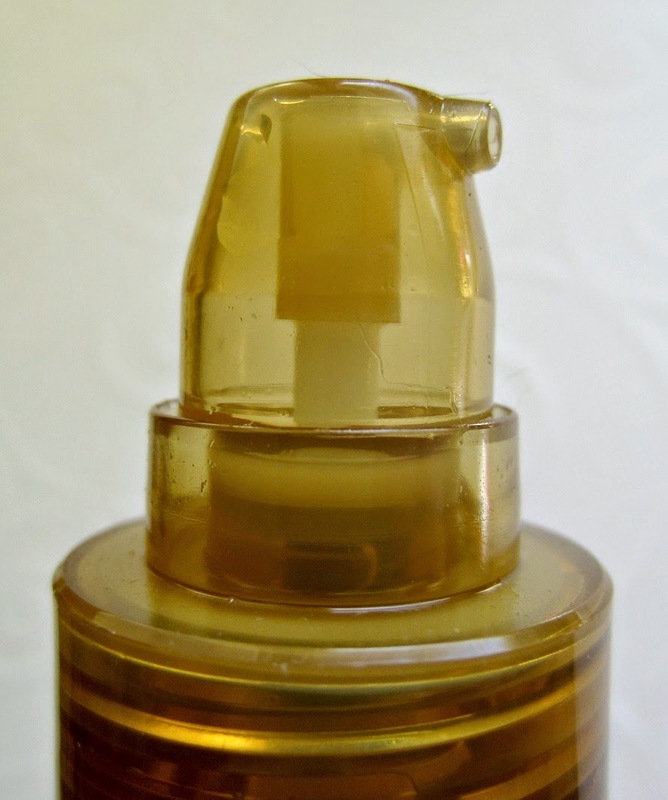 You can also mix a couple of pumps of this in to one of your lotions for an added boost of hydration, should your skin become extra parched in the colder months. 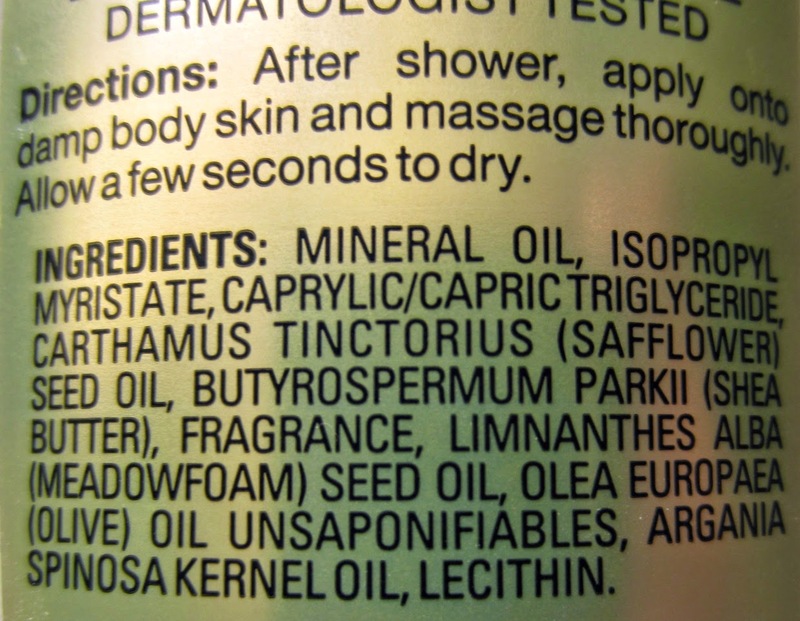 Below is a look at the ingredients, and if you're opposed to Mineral Oil, you likely won't be interested in this product. I personally don't have any issues with Mineral Oil, but it seems that many people do. For the money, I feel that this is a nice beauty oil. It does a great job of moisturizing my skin all day, it's easy to use, and it makes my skin feel and look healthy with a added touch of sheen and dewiness.